Welcome to The Experienced Movers & Storage Inc. Welcome to The Experienced Movers & Storage®. 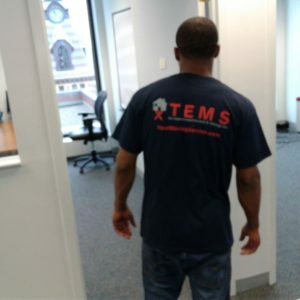 Our company has become a highly referred Connecticut moving company serving the entire state of Connecticut, and the metro cities of Detroit, Michigan and Philadelphia, Pennsylvania. We serve all cities and towns of CT, including New Haven, Stamford, Hartford, New London, Fairfield. We pride ourselves on hiring sought after movers that are experienced, fast and careful. Our customers are amazed at how fast and efficient our men work. We are fully insured and our movers are fully trained & skilled to meet the needs of our clients. When you choose The Experienced Movers & Storage. for your up-coming relocation , you choose commitment to quality and confidence that we can offer the best service in the moving industry!. Our goal is to offer you the highest quality service and exceed your expectations every step of the way. Moving can be a stressful experience oftentimes. That is why it is our commitment to make your residential or commercial moving process smooth and hassle-free. Take advantage of our experience and expertise in the industry and let us attend to all your moving needs. We offer a wide selection of services and can accommodate various types of relocations. There is no one template that fits every move. At The Experienced Movers & Storage customer satisfaction is a top priority. We pledge to give you an competitive price, a high level of service and reliability, and a moving experience that will leave you feeling glad to have hired one of the best moving companies in CT.
We are not one of those companies that will send out movers to waste your time and money.